We have had some absolutely B-E-A-utiful days in The Bay lately. Super sunny and clear but still a bit chilly. I went into San Fran with some friends to enjoy the amazing rays but didn't want a bulky coat to hold me hostage all day. Enter the cable poncho from Long Tall Sally. 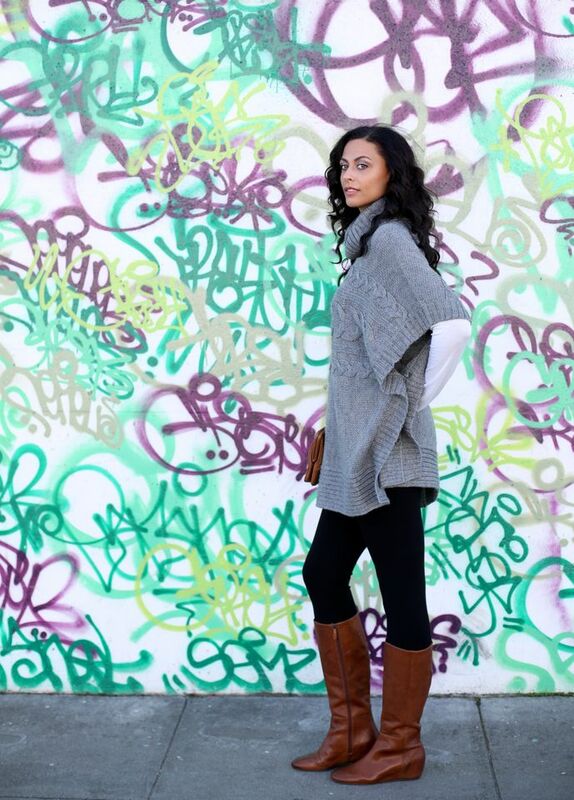 This poncho is the definition of ComfyChic (yes, I made it one word). Honestly, I got SO many complements and all I did was throw it on. Underneath I am rocking 2 basics I think every tall girl should have in her closet; 1) a pair of fab black leggings and 2) a basic long sleeved tee. They both are versatile and they both will be worn over and over again. I really like the Method Boutique leggings because they come in a 38" inseam and as you can see the Height Goddess tee has super long sleeves and is long in the body as well. I love it so much, I have it in black too. Of course I have to give a special shoutout to the boots. These are some of my favs from Barefoot Tess. Comfy, classy and come in sizes 11-15...need I say more? 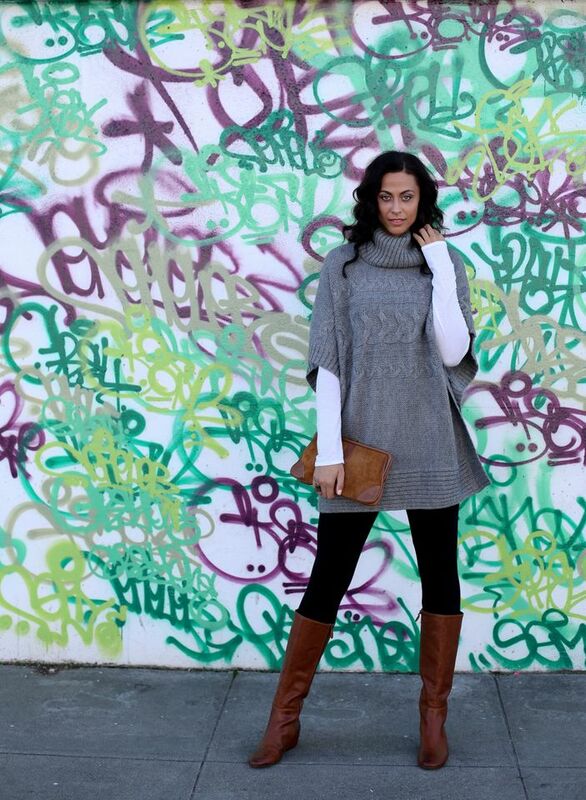 What do you rock on your ComfyChic days?